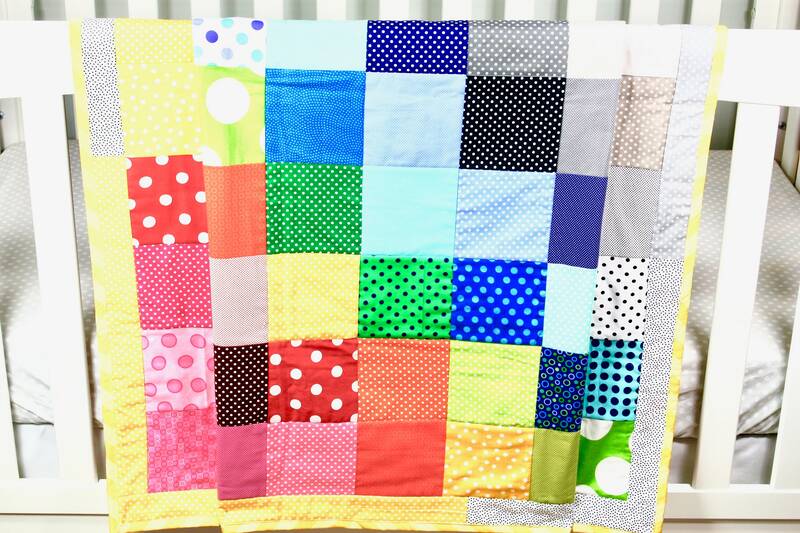 Baby Quilt, Handmade Baby Quilt, Modern Baby Quilt, Baby Gift, Baby Shower Gift, Holiday Baby Gift. Handmade Modern Baby Quilt, Baby Gift, Holiday Baby Gift, Baby Shower Gift, Contemporary Baby Quilt. This is a beautiful, handmade baby quilt. It would be the perfect addition to any family. This quilt is completed and ready to ship. 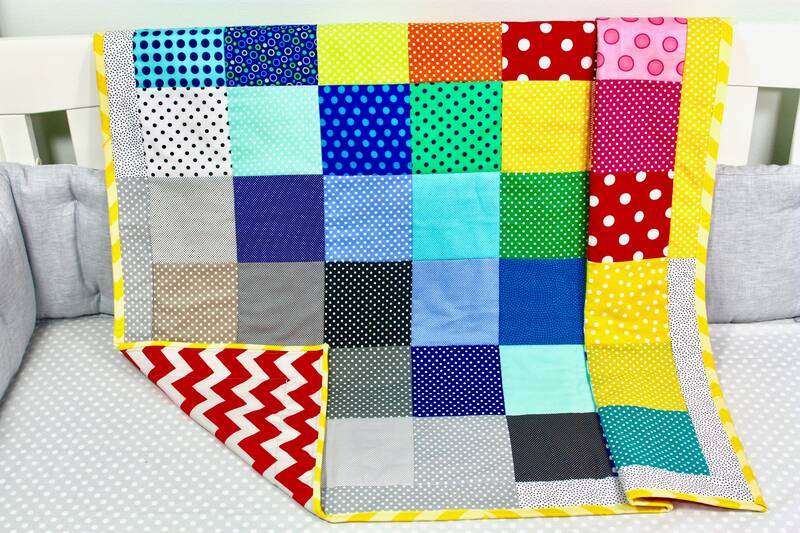 All of my quilts are made from 100% high quality cotton fabrics, batting and threads. It is machine pieced, quilted and bound. This quilt is made to be loved for generations to come! It measures approx. 35"x35". 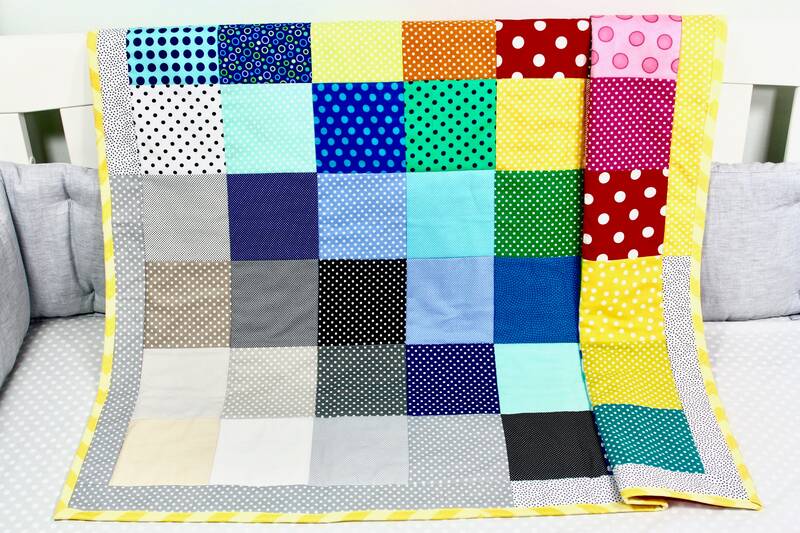 That makes it the perfect size for not only a crib quilt, but also for a playmat, use in a stroller or car seat, or just snuggle time. This quilt has not been washed. Please wash in cold water on the delicate cycle in your machine, then air or tumble dry on the lowest setting on the dryer. Minor shrinkage may occur. All of my quilts are made in a smoke free and pet free environment.